Rooms from $52.49 per night. Description This McDonough, Georgia hotel has free internet access, non-smoking guest rooms and an on-site restaurant. This hotel is also pet friendly. With free Wi-Fi and free breakfast the pet-friendly Econo Lodge McDonough is economical and convenient just right for when you're on your way to or from Atlanta Motor Speedway. This 40-room motel on two floors offers free Wi-Fi throughout as well as rooms with microwaves and refrigerators cable TV and free local calling. Non-smoking rooms can be requested. The hotel provides a free continental breakfast every morning. For the road warrior fax services are available to keep you on top of deadlines when you're on the road and the on-site laundry facility can be a lifesaver. Parking is free and pets are welcome (with some restrictions) for a nominal fee. The Econo Lodge is just off I-75 five minutes from historic downtown McDonough. There are several dining options within a mile of the motel. Atlanta Motor Speedway is just a 20-minute drive. Atlanta is a 40-minute drive and Hartsfield-Jackson Atlanta International Airport is 23 miles away. 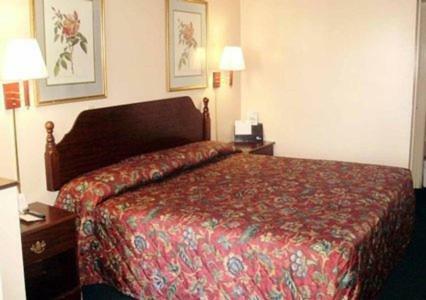 Add Econo Lodge Mcdonough to your free online travel itinerary.